Train2Game Student Studio, Devils inc studios, released a game just before Christmas that relates to how we all feel from time to time around winter. Snowmageddon has all the fun of a first person shooter with tower defence features to add to your enjoyment. The game sees you defending the mystical Star of Dreams, a magical star that while in play keeps your dream world alive, if it falls you are returned to the humdrum of reality. With your towers and an exciting, inventive array of weapons, including snow balls and exploding presents, you must protect your fantasy world. The story begins when you make a wish one snowy night feeling the pressures of an adult life’s day to day struggles and so you wish for a simpler time like when you were a child, inadvertently your wish is made as a shooting star passes overhead. When you wake you are in a village being attacked by a horde of rampaging snowmen and you must protect your land of dreams. You rally up the other citizens of your dream world and prepare to fight back to save your town! The game has been created in Unity by the talents of Devils inc Studios which consists of Train2Game students and a few others who have been recruited to the team. Mark Plant, Co founder and Lead Designer, said “It’s been a huge learning curve for us in terms of what you can or can’t achieve early on, only when we scaled back to a small seven day project did we really find our feet, this was awesome for use as we found traction, and in doing so we turned out a great game. Train2Game really taught me respect for developers and games all round, you moan and complain about so much in games that when you begin to look beneath and actually create them you release even something that appears to be a simple change truly can be a workload all by itself, one small task can quickly spiral into a dozen more. I’m thankful for that respect it was a good lesson to learn. Of course without Train2Game, Devils Inc Studios, wouldn’t have been formed” on the development of the game and there studio. Professional video games creator who learnt his craft with Train2Game, joins experienced UK games developers in exclusive BAFTA scheme. 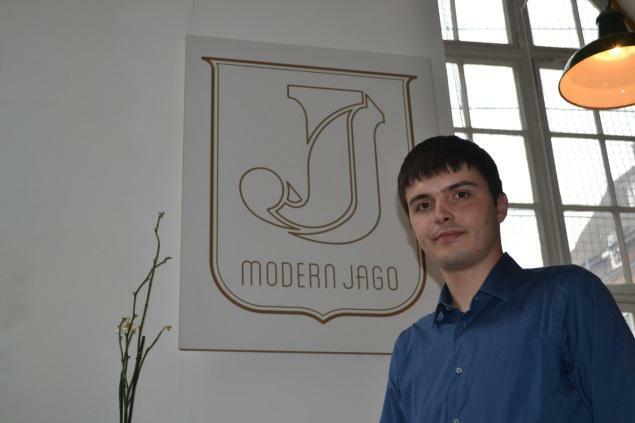 Nicola Valcasara has taken one of 100 places available for Game Practitioners requiring at least two years professional experience in the games industry in the UK. The programme provides exclusive access to: Games Industry mentors, live QAs and podcasts, networking opportunities and scientific research in Game Design. Nicola has an outstanding reputation in the Train2Game community, having won a previous design competition with Rapid2D. 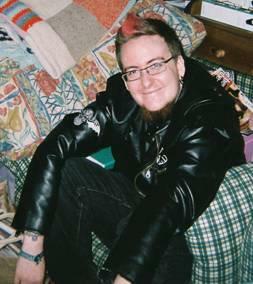 He now works with another previous TrainGame student, Darroch McNaught, at Indie studio DeuXality Games. He’s set to learn a tremendous amount from the course, masterclasses and online livestreams cover; Story & Narrative, Games Design, Music & Sound Design, and Game Art. BAFTA Crew Games 2014 is an interactive programme – working with selected participants to tailor the content to their interests and needs. Working with partners Creative Skillset and Wellcome Trust, BAFTA Crew Games 2014 will shine the spotlight on the collaboration between the games industry and research in medical humanities. Masterclasses will offer the opportunity to access insight from Scientists and researchers from the Wellcome Trust with a specific focus on how research in Biomedical Science can inform Game Design. WewanaPlay is going to show you how to make a game quickly by challenging coders to make a game in just 30 hours with their Halloween Hackathon which is supported by big name companies such as Unity. WewanaPlay, an innovative Birmingham based gaming startup is now turning startup creator. This weekend WewanaPlay is offering a fantastic chance to see how a Hackathon works thanks to their Halloween themed event which will take place in their head office and will also be streamed live on Twitch for everyone to follow along. The stream will be live between Sat 25th Oct, 9am until Sun 26th , 4pm UK time, supported by the tens of thousands of users of their smartphone application. WewanaPlay was actually started on a weekend hackathon and now they want to give back that experience to new gaming companies. Talented individuals making up 3 or more teams will be tasked with developing a working Halloween themed game in just 30 hours. The teams are free to use whatever software they wish and develop for whatever chosen platform. The event is being live streamed on Twitch and is open to anyone who wants to view it. If you are interested in seeing what games can be produced in 30 hours and how it can be done, come watch. The WewanaPlay team will be there to welcome you! WewanaPlay hopes this event will show how fun coding can be and hopefully show how within a short time, someone with coding experience can create something which the whole world can enjoy. Well… that’s the aim anyway! Remember Flappy Birds was said to have been made in just 3 hours. WewanaPlay would love you to follow the event on the live stream and even challenge you to take part from your own homes. If you think you can produce an awesome game in the same time frame as them, either on your own or as part of a team, then join virtually! All you have to do is send a tweet to @Wewana_Play along with regular updates and perhaps even your own live stream. It will be interesting to see what games are made and remember there is a year subscription to Unity3D Pro up for grabs for the winner. The teams will also be wanting feedback from those who just love to play games, so be sure to tune in and play test some awesome new games. YoYo Games have announced GameMaker: Studio support for Xbox One, enhanced support for current Microsoft platforms including Windows RT, Windows 8.1, and Windows Phone 8.1, as well as support for future operating system releases. 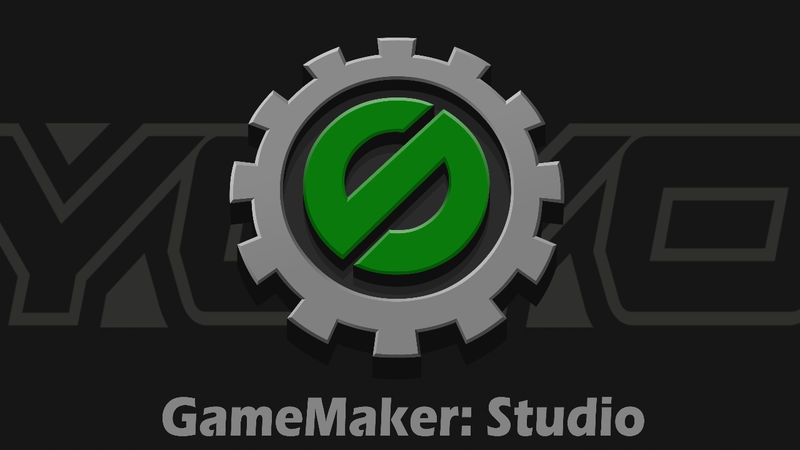 The GameMaker: Studio export for Xbox One will be available in the fourth quarter of 2014 to members of Microsoft’s licensed Xbox developer programs, including ID@Xbox. For more information about how to become a licensed Xbox One developer, please visit www.xbox.com/id. An Xbox One developer kit is required to take advantage of the GameMaker: Studio export for Xbox One. Train2Game News Source 2 Engine released? Dota 2 users believe they have stumbled on the foundations of a brand new Source engine from Valve. The firm has released a number of new workshop tools for the popular MOBA, and modder RoyAwesome claims their filenames suggest the game is being migrated to a new engine, according to VG247. He points to all the files that would usually share a name with Source, each of which now have a ‘2’ in the filename – examples including engine2.dll, vconsole2.exe. The game now also asks for .vmap files, referring to .vmf as “(Source 1.0)”. In Valve’s release notes for the new workshop tools, the firm warned that they required powerful systems. “This is a developer focused release and currently has high system requirements which means not everyone will be able to run the tools,” the firm wrote. The BFX Festival returns to Bournemouth this summer to celebrate British talent and creativity in animation, computer games and visual effects and inspire the next generation of people to enter the booming industries. Last year’s BFX Festival was a fantastic celebration of visual effects, animation and games and this year’s event is aiming to build that success, with experts and enthusiasts from across the UK and beyond presenting an amazing selection of material and leading a range of Festival activities that will appeal to all. Tickets are now on sale for the Festival, which will take place across four days from 24-28 September 2014, hosted at the Bournemouth International Centre. Talks featuring movie titles such as The Lego Movie, Gravity, Maleficent, Godzilla, Guardians of the Galaxy and The Edge of Tomorrow will be on offer, giving delegates an insight into the range and quality of visual effects needed to create such blockbusters. Legendary computer games, such as the new instalment of Elite from Frontier Developments, called Elite: Dangerous will also be presented. As well as talks from industry experts on some of this year’s best VFX and animation there will also be a large concept art exhibition direct from the vaults of Walt Disney Animation Studios and Walt Disney Pictures; featuring concept artwork from the movies Sleeping Beauty and Maleficent. A series of workshops will be available for those wishing to explore animation and VFX techniques further and a number of family activities are also on offer, including children’s animation workshops and public cinema screenings. Talks and workshops have been created with all levels of expertise and knowledge in mind, and the Festival is open for all members of the public to attend. The Festival is being organised by the International VFX Hub; a collaboration between the award-winning National Centre for Computer Animation (NCCA) at Bournemouth University and the Faculty of Media and Performance at the Arts University Bournemouth (AUB). Companies such as Animal Logic, Framestore, Double Negative, The Mill and MPC will be speaking at the Festival, along with Festival partners The Foundry, Chaos Group, Next Limit and AMD. At the heart of the Festival is the BFX competition – where students from around the country will be competing to create the best animation and visual effect from a selection of briefs and screenplays given to them. The competition, which is held on Bournemouth University’s and Arts University Bournemouth campus, replicates a film studio with participants working in groups of up to six to create a short visual effects or animation sequence. Teams are mentored throughout by industry practitioners, with a panel of industry judges picking the winning team and awarding prizes. The competition is currently underway, with teams from 10 higher education institutions taking part, competing for a variety of award and prizes across a number of categories, with winners due to be announced during the Festival itself. Tickets for the BFX Festival can be purchased on Eventbrite with Early Bird discounts available. More information about the BFX Festival (including ticketing), and the BFX Competition, can be found at www.bfxfestival.com. 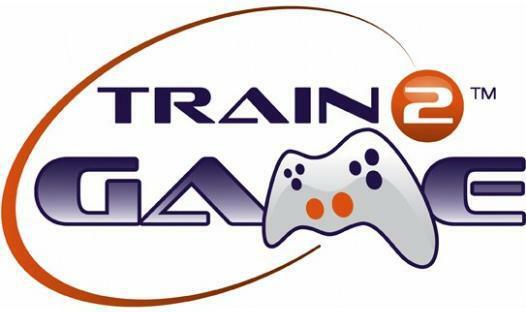 A new radio channel created by Train2Game is best described as: Inspirational, Informative and Advisory. Train2Game Radio brings you voices from both the Games Industry and it Students. The new radio station has been created to guide those already on the course and tell others more about the company. The channel hosts material created by the Train2Game team but also other programmes featuring Train2Game from commercial and public radio. It features radio programmes from many renowned individuals and organisations, shows include: City and Guilds say Train2Game are doing it PROPERLY, CNS Group coaching Train2Game Students LIVE, JuiceFM Mike Gamble from Epic on Train2Game, Microsoft’s Andy McCartney Future of Gaming and shows from the BBC. NGames, a leading online games publisher, is today thrilled to announce that the open beta for fantasy MMORPG, Xeno Quest, will be launching for Android and iOS gamers on July 30th and July 31st respectively. The lands of Xeno Quest are brought to life by the powerful Unity 3D Engine, combining fine artwork with advanced technology to create a fluid, fully 3D mobile gameplay experience. Players will develop powerful Knights to utilize in turn-based combat, forge unique equipment and collect vast bounties of treasure as they team up with friends on special daily quests – or fight them for glory! Who will become the ‘Son of Destiny’ and use their power to change the fate of the world? The Xeno Quest alpha test closed July 18th, following 18 days of successful stress testing. Thousands of would-be warriors joined the alpha adventure and NGames is now working through player submitted bug reports and suggestions ahead of the anticipated open beta launch. The Xeno Quest open beta is scheduled to launch for Android on the Google Play Store on July 30th. iPhone and iPad gamers can join the fantasy adventure through the App Store on July 31st. Warriors who helped shape the Xeno Quest adventure during the alpha phase will be rewarded with special gifts when the beta launches, including Firecrush – a powerful mythical beast assistant exclusive to alpha testers. Open beta testers will have the opportunity to submit bug reports and gameplay suggestions ahead of Xeno Quest’s full launch this Summer. 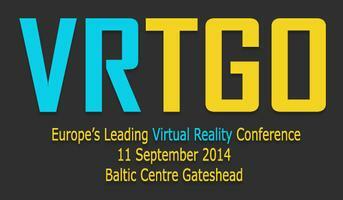 The North East of England will be host to the first major VR conference in Europe on September 11 2014 at the Baltic Centre in Gateshead. The conference will be looking at both entertainment, commerical and serious applications for Virtual Reality. In addition attendees will have the oppotunity to go hands on with both Sony’s Project Morpheus and the Oculus Rift. The conference will look at where the future of VR is taking the entertainment and games industry and see what this cutting edge technology can do for serious applications for automotive, modelling, training, marketing etc. There will be speakers from a number of different companies talking about the different features of VR and how it can be used to create new exciting experiences. Speakers from SCEE, CCP and Zerolight with plenty more that are yet to be announced. An after-show party is planned which could be excellent for networking and discussing ideas with other like minded individuals. So attend and witness the future of interactive entertainment first hand. You can sign up using the eventbrite link here.